Hillaryswinner was the number one highest scoring mare in Canada, and one of the top ten highest scoring mares in all of North America for the 2013 RPSI inspection tour !! 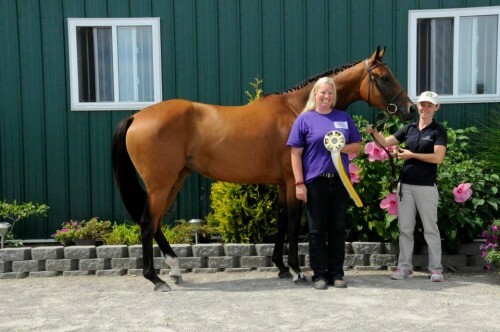 Hillaryswinner was also Reserve Grand Champion Thoroughbred mare at the 2013 & 2014 Royal Agricultural Winter Fair. 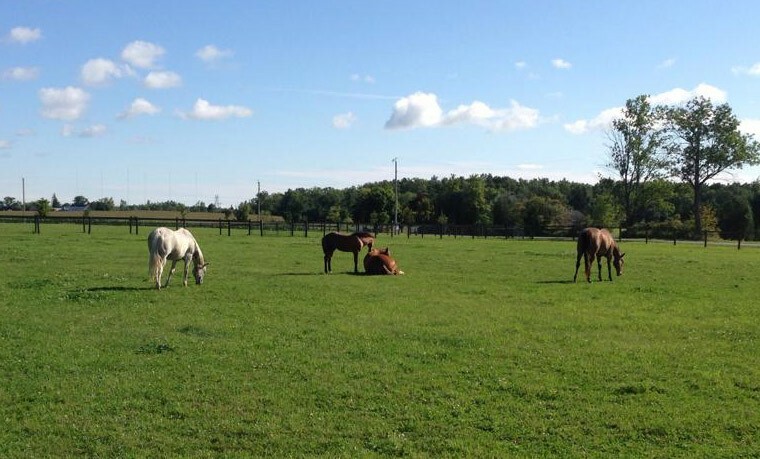 "Hillary's" feeding program includes several of our top selling Golden Horseshoe and Strictly Equine products! Misty the 25 year old mare and her foal is sure a great story...as I am positive without your products that I gave her during her pregnancy (not knowing she was in foal) we would not have a little Arabella today. Misty is on optimum, soyflax and b-comfy since we got her on our place, about 9 months now, Arabella I give the soyflax and a wee bit of optimum. 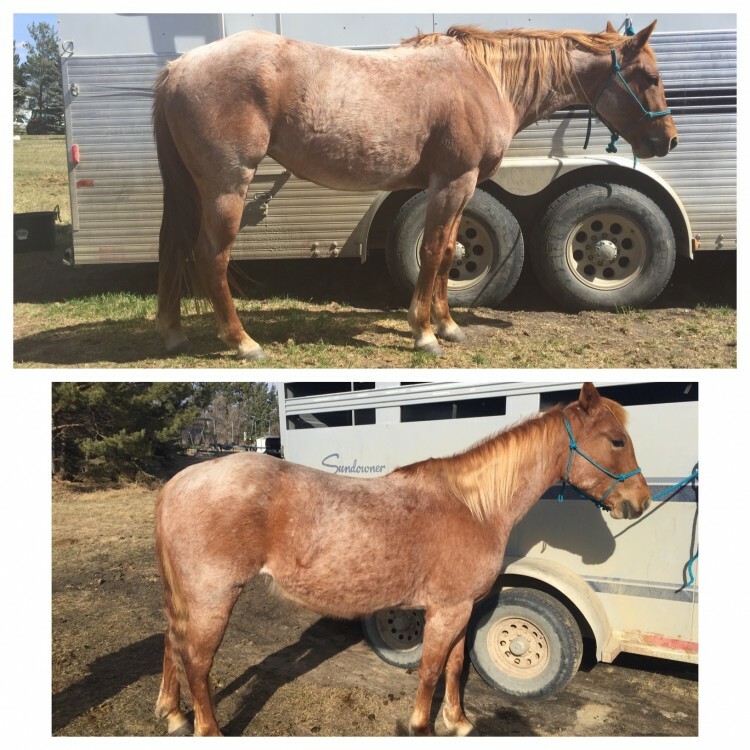 Spartan we had on the digest, MSM and Respair (you don't have anymore) now due his health issues we got him on soyflax, optimum and b-comfy. My girl Shekinah is on optimum and soyflax only. All our old farts are between 18-25 years old...not much history as to the health of these animals...hence why I use so many products from you"
Thanks for the amazing product. Less then 20 days on FP Maxx Top is today. Bottom is less then. 20 days ago!! I just wanted to let you know that I put my horse on Devils claw a little over 3 weeks ago and I've had great success with it already! 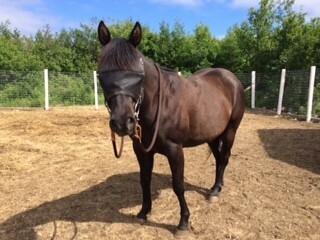 My horse has uveitis and she had to be on bute all the time. Every time I would wean her off of the bute, her eye would flare again. It was getting hard on her stomach. She was having loose stool. It was getting to the point where I was considering having her eye removed and then I found this supplement and decided to try it as a last resort. I'm so glad I did! She's been completely off of bute for a few days now and her eye looks good! I'm so happy that this works! It's so hard to find something that works, especially with all the supplements out there these days. There's a uveitis support group on Facebook and I have shared my success with this supplement. I'm hoping it will help others as well!